When I added any project to the WWW folder located in the WampServer folder on my C:/ drive, it would add to the LocalHost screen. However, the "LocalHost" was not at the beginning of any of my projects, making them unusable links. A minor irritant I had to get rid of. 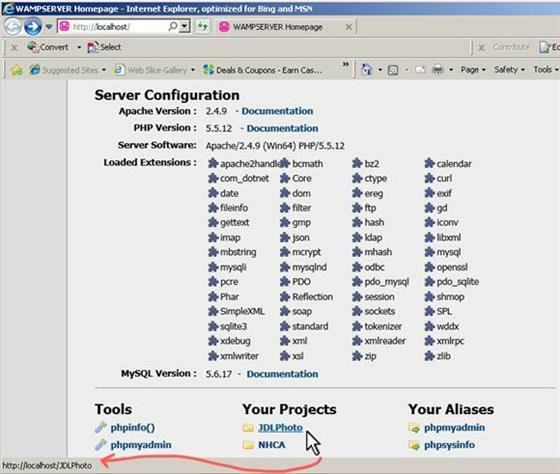 I inspected the "index.php" code located in the WWW directory. I found something that seemed related, though I couldn't read the surrounding language (English only for me, sadly). Now my links are usable. Hosted by HostNine This page was created in 0.00395607948303 seconds.